Posted: October 24, 2017 in Fotos, Who,What,Where & When...? He is talking to Elfin works mechanic Dale Koenneke, well known in Australia for his work with Elfins, John McCormack and later K&A Engineering, an enduring partnership in Adelaide he formed with Harry Aust. 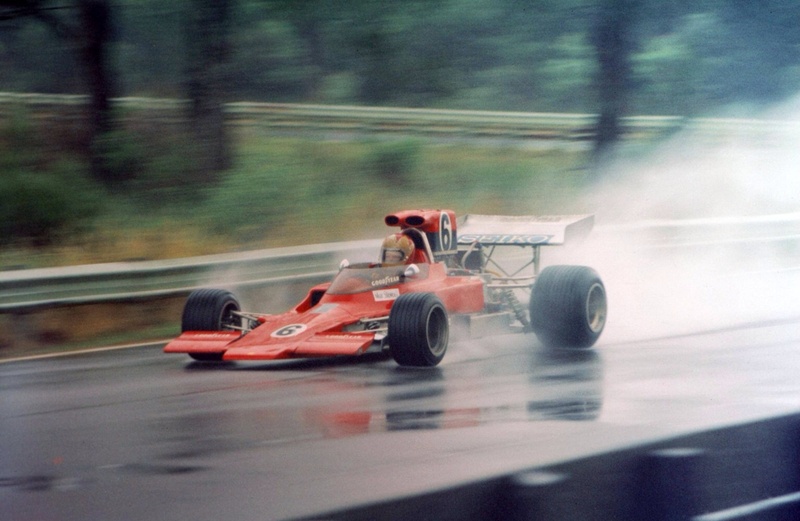 Max took to F5000 like a duck to water. His speed in 2 litre cars- he won the 1971 Australian Gold Star series in his trusty Mildren Waggott 2 litre was immediately transferred across to the more demanding 5 litre, 480bhp MR5. The Elfin wasn’t the ‘ducks guts’ of cars albeit John McCormack developed his car to a fine race, and championship winning pitch. 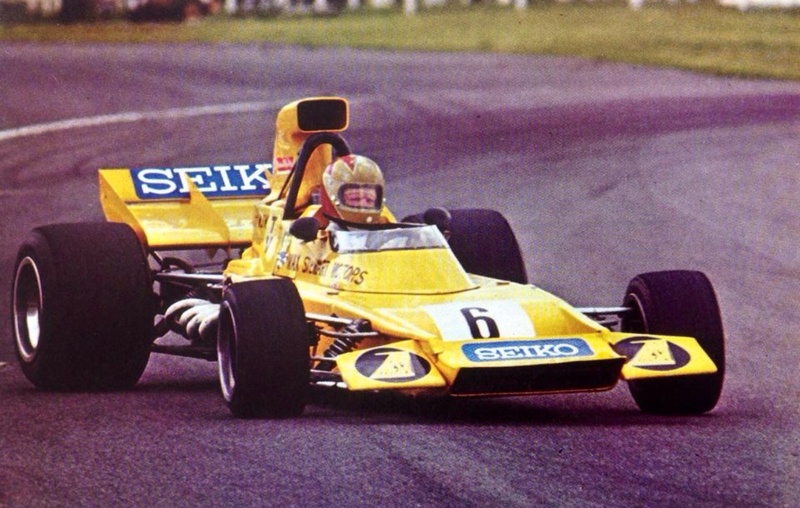 But in 1972 Max was the fastest guy aboard an MR5- a quicker driver than Garrie Cooper, McCormack and John Walker. Very soon McCormack and Walker developed ultimate speed whereas Garrie- quick in a Tasman 2.5 car was never more than a journeyman in 5 litre single-seaters. The MR5 looked superb. 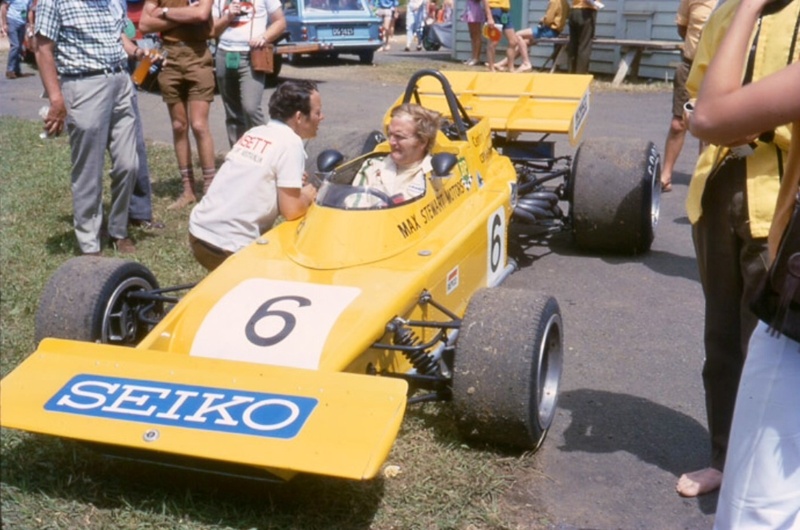 Even though Alec Mildren abandoned his race team at the end of 1970 Max kept the Mildren yellow team colour on his own cars- both the Mildren Waggott in 1971 and MR5 in 1972. He retained the Seiko and BP sponsorships too. What a sad day for Australian motor-racing it was when Alec finally pulled the pin. He was such a wonderful benefactor/entrant of Frank Gardner, Kevin Bartlett and Max Stewart and others, but those fellas in particular. The MR5 wasn’t the ‘Silver Hammer’ at all for Max though. That car was undoubtedly the racer which followed, his ex-works Frank Gardner driven development prototype Lola T330 Chev ‘HU1’. It was the very first of that ‘category destroying’! series of dominant T330/332 Lolas. Max made HU1 sing for years and was always competitive with the T332’s. Both the T330 and MR5 ’5722’ are still in Australia, restored and exercised regularly. 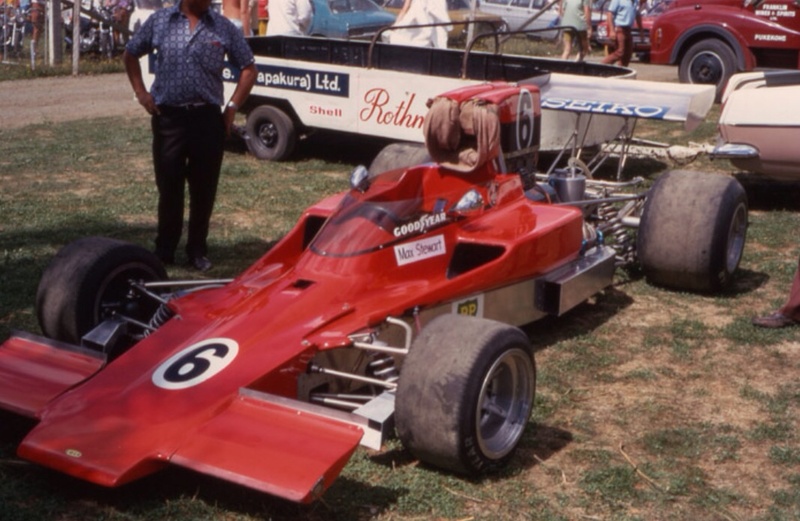 Whilst Frank Gardner ‘retired’ from single-seater racing towards the end of the 1972 Tasman Series he continued to test openwheelers in his capacity as Lola’s development engineer/tester. He also raced this chassis, T330 ‘HU1’ once or twice in some end of season European F5000 Championship rounds in 1972 as he developed the production spec 1973 T330 for Eric Broadley. HU1 was then sold to Max to run in the ’73 Tasman with Gardner on hand to advise the lanky Aussie on how to extract the best from the car, which he most certainly did. Here the car is in the Pukekohe paddock twelve months after the shot at this articles outset, both photos taken by the same photographer, Mike Feisst. Stewart didn’t have great reliability from the MR5 in either the ’72 Tasman or the Gold Star- his best results were a 5th and 4th at Pukekohe and Levin in the Tasman and two 3rd places in the Gold Star at his home NSW tracks of Oran Park and Warwick Farm. The decision to go with Lola was an easy one. He had witnessed at first hand the speed of the T300’s driven by his mate Kevin Bartlett, Bob Muir and others and no doubt Frank Gardner was able to impress upon him the speed of the coming T330. Frank Matich was at the front of the Repco queue- FM was their works driver after all, with perhaps McCormack and Cooper getting the next best customer engines. Lola Chev was an eminently sensible move which paid off in spades for Max albeit not initially! 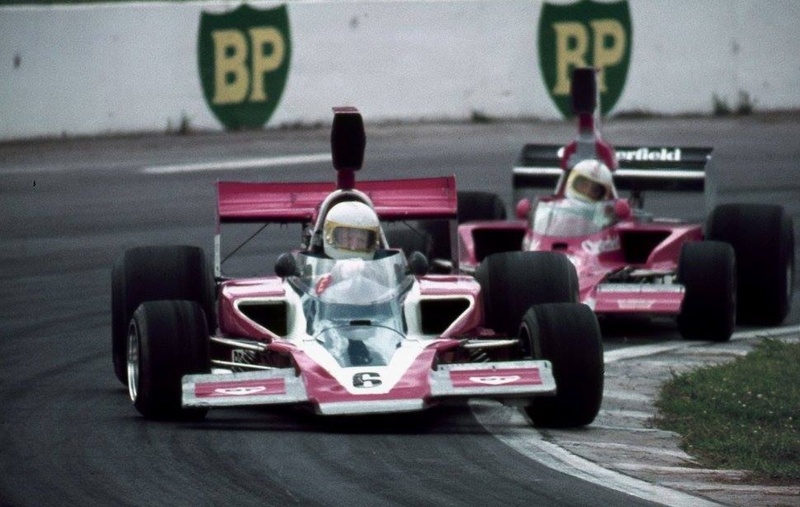 The story of Stewarts’ success in his Lola’s is one for another time, suffice it to say aboard T330 ‘HU1’ he won the 1974 Teretonga and Oran Park Tasman rounds, the Australian Gold Star Series winning five of the six rounds including the Australian Grand Prix at Oran Park. Quite a season for the popular boy from Orange.